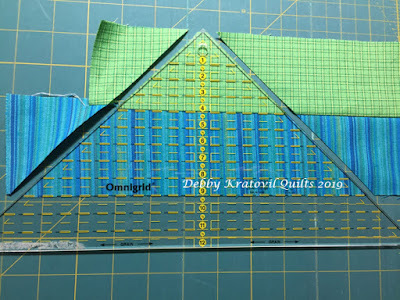 Today Debby Kratovil from Debby Kratovil Quilts is sharing a Technique Tuesday post using Modern Quilt Studio's Warp & Weft fabrics. 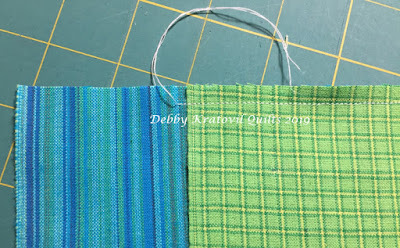 See how she uses these fun, bright yarn dyes in ai quick-to-cut and quick-to sew quilt! Hello! 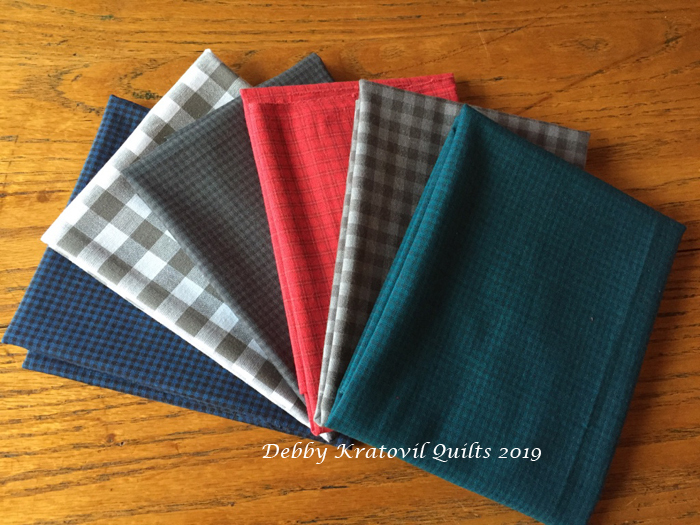 I'm excited to be featuring Warp and Weft by Weeks Ringle and Bill Kerr of Modern Quilt Studio. 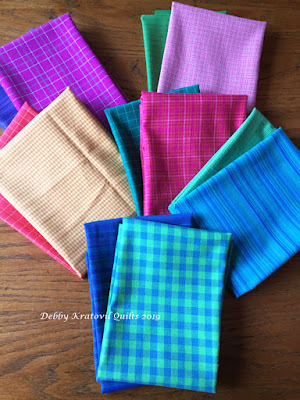 These fabrics are not your ordinary cottons that are surface dyed, but are wovens with colored threads. As soon as I saw them I knew just what I'd like to stitch with them. My tried and true "Yikes! 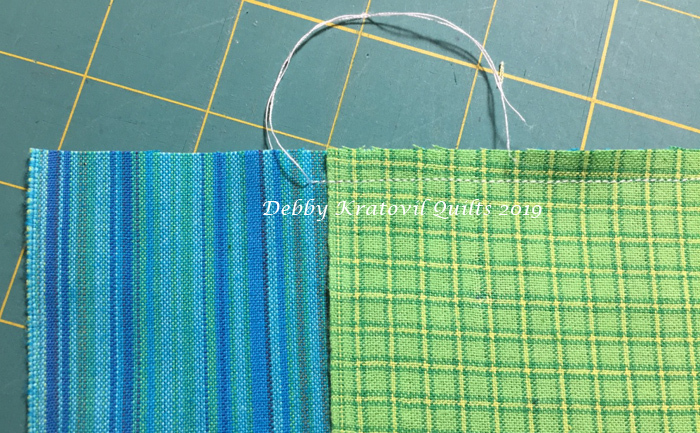 Those Stripes" pattern is a go-to anytime there are fabrics such as these in my studio. First, the fabrics. I separated out the clear colors (many brights) from the grays. I have plans for those grays - on another day. One thing I did notice about these fabrics is how soft to the touch they are! They have a lovely "hand," which means they feel good in my hand! 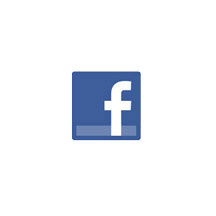 Now let's see what I did. I first paired the colors as I thought I'd like to see them in each block. 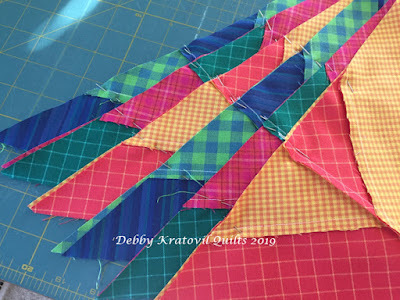 My plan is to make Hourglass Blocks using my quick piecing method, which I first published in Quilt Magazine about 25 years ago! 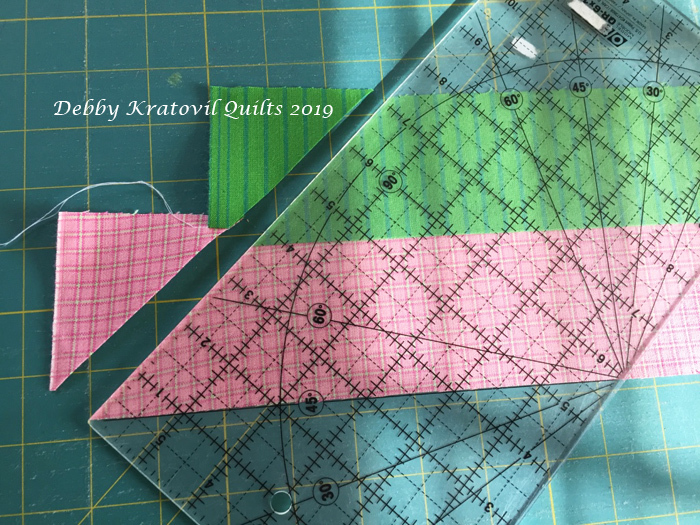 I cut 2-3/4" strips of each fabric and stitched a 1/4" seam. I offset one strip by about 2-1/4" because I'm going to cut some triangles in the next photo. Offsetting gives me one more cut when I reach the end. 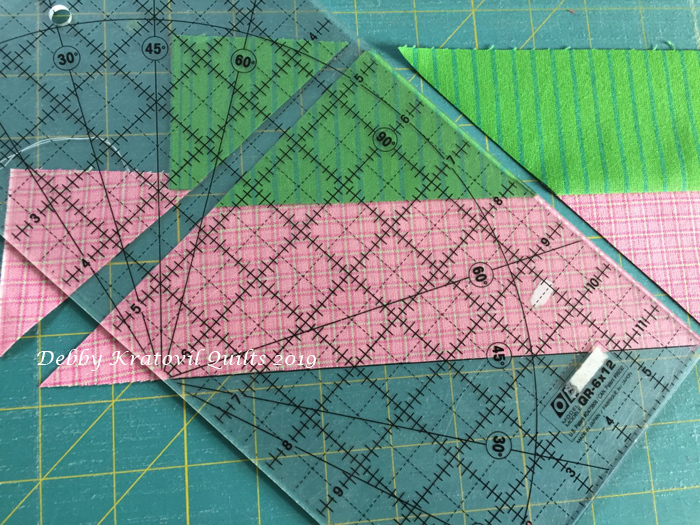 This pattern also works well with 2-1/2" strips. You'll see! 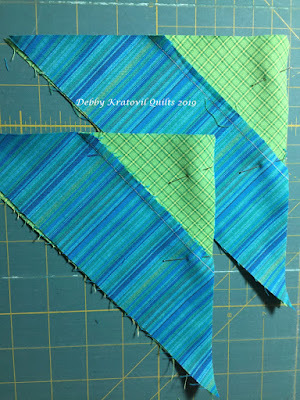 Two 2-3/4" strips, offset by 2-1/4"
Press toward one of the colors (doesn't matter) and then we start to cut. The cuts are 45 degree angles. Flip flop the ruler and cut the second wedge. You may not have this type of ruler. 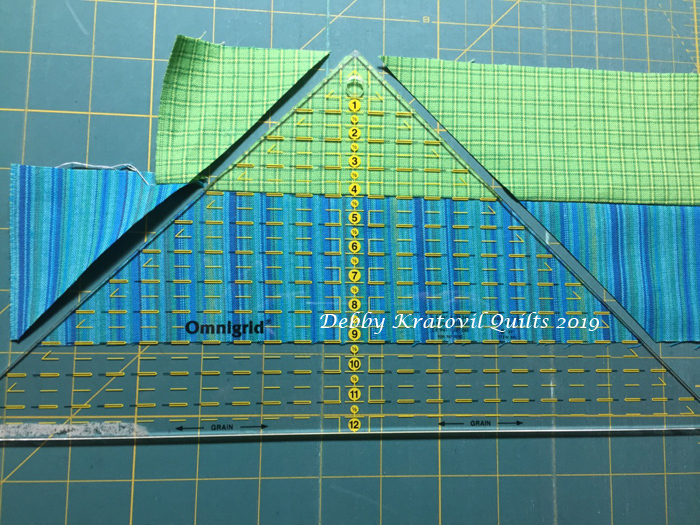 You can use your standard 6 x 12 ruler and align the 45 degree line at the bottom as shown below. Trim off the side. 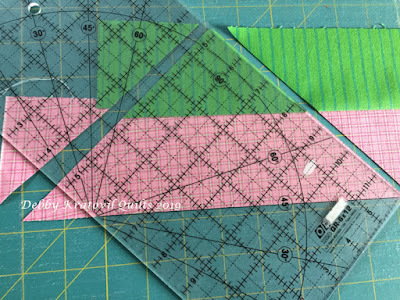 Then flip flop the ruler and cut the right side of the pieced triangle. Again, you are using the 45 degree line as your guide. 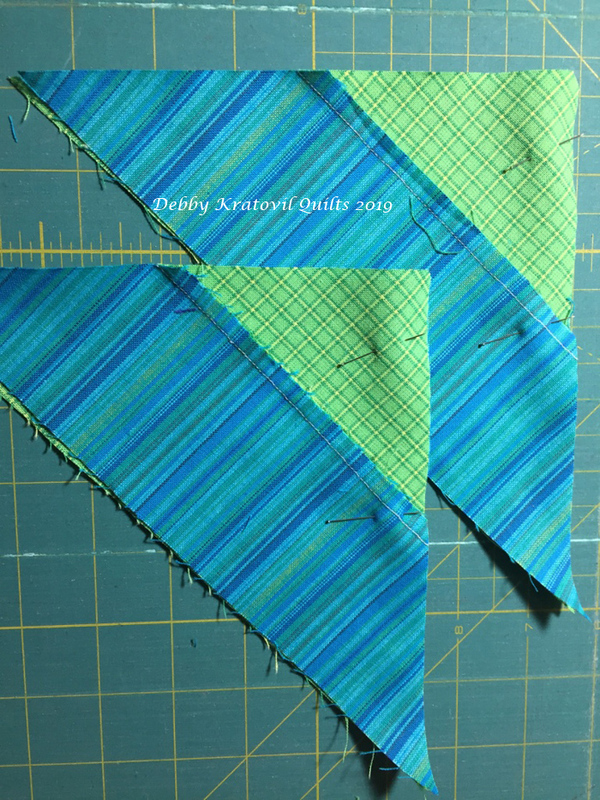 You should be able to get 8 pieced triangles from each strip set. Here are four together, getting ready to make an Hourglass Block. I will get two Hourglass blocks from each strip set. 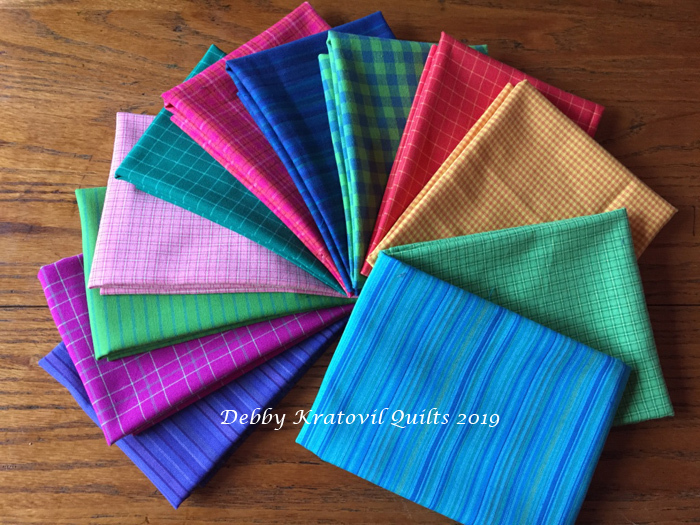 Head over to Debby's blog to read more and to enter to win a fat quarter bundle of 8-10 Warp & Weft fabrics for yourself! Stop by each day this week for more yarn dye project inspiration! I like this technique to make hourglass blocks. Great fabric collection. 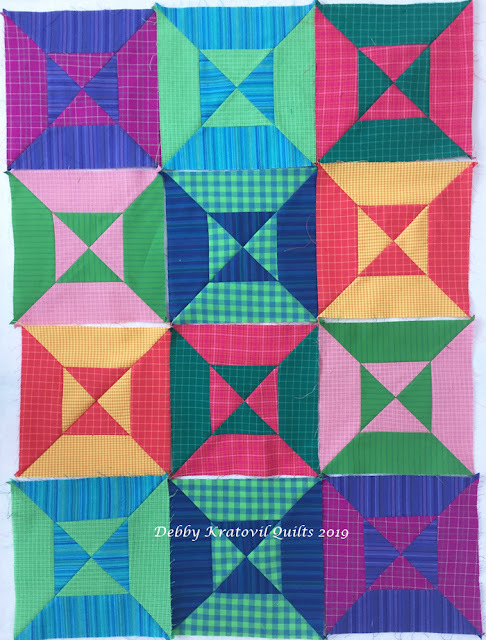 Great line of fabric and love this block! What a great patternn, love those stripes! 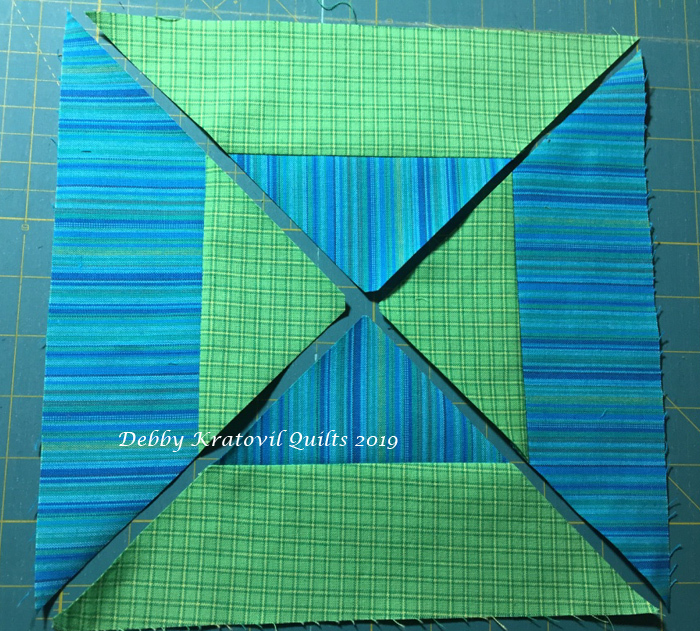 A good block like this one will work with any fabric line. I especially like the 2 blue & green combinations. I love all the fabrics! And thanks for the tutorial! Very cool blocks and fabrics! How cool is that technique?! Gorgeous! The brights are my favorite also. And strip piecing was one of the first techniques I learned for quilt making, still love using that method for quick and fun quilts. I would have chosen the crayon brights also. They're beautiful. Love these fabrics--beautiful colors and textures! I love the crayon colors! Thanks.